Once again, I'm back with the new Blogger Template named Flash News. 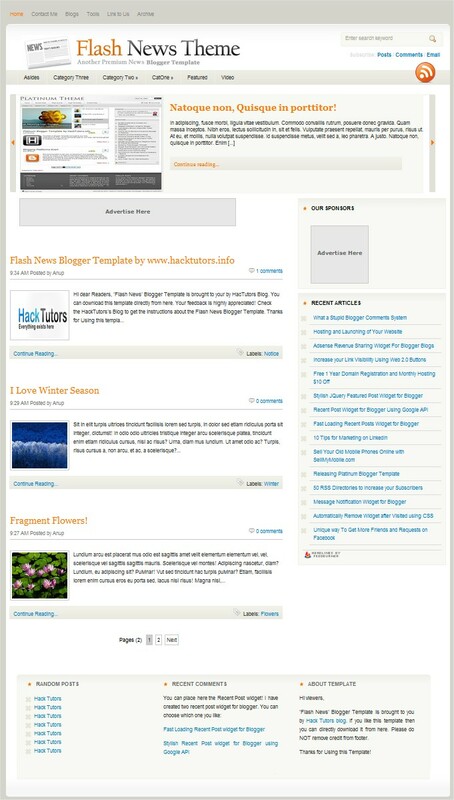 Flash News Blogger Template have 2 columns with the clean layouts and professional design. 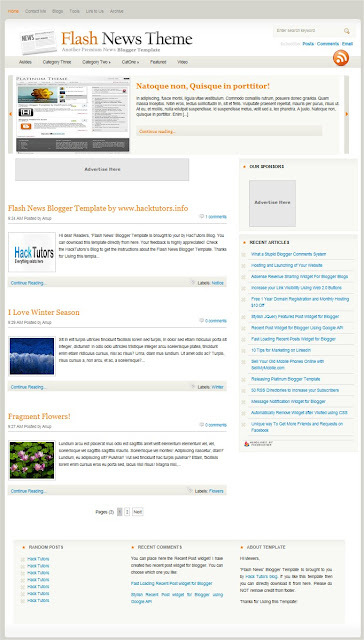 Flash News Blogger Template suits on any blog. It loads faster with comparison to other web templates. I made Flash News Blogger Template available for free for all blogger users! Flash News Blogger Template has all the features that has been taken out through the official Blogger and Blogger resources. 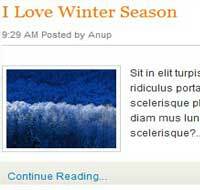 I converted it into Blogger Template, originally it is WordPress theme designed by WooThemes. 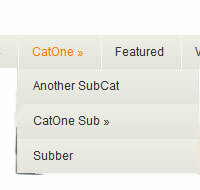 Th top Menu Bar is based on JQuery which is professional designed and with special hover effects. The Flash News Blogger Template contains featured post widget which is entirely different from other. Automatic read more makes easy to all of your viewers to view your post in summary with relevant image. Continue Reading link contains on the left side and the labels contains on the right side of the post . Instead of Older Post, Newer Post link there is a navigation which makes easy to scroll and jump within the page to page. 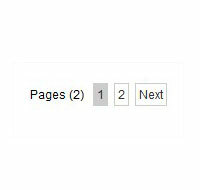 You can place the three or more widgets on the footer. So, you can have a maximum widget on this template. Lets fit it on your blog! Flash News is very easy to use. 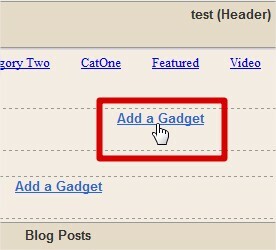 There is 3 content in this widget, replace each Blue color URL with your own Image URL. Replace # with the post URL. Replace the Green color text with the title of each featured post. And replace Pink color text with the short summary of the each featured post. Now, you are ready to use Flash News Blogger Template on your blog. I hope you loved this template. Your suggestions and feedback is highly appreciated! Feel free to ask if there is any confusing and problems. I'm always ready to help you!